To overcome the limitations of the DOORS native editor, Sodius has developed the DXL Editor, offering unmatched features to facilitate developers’ lives. 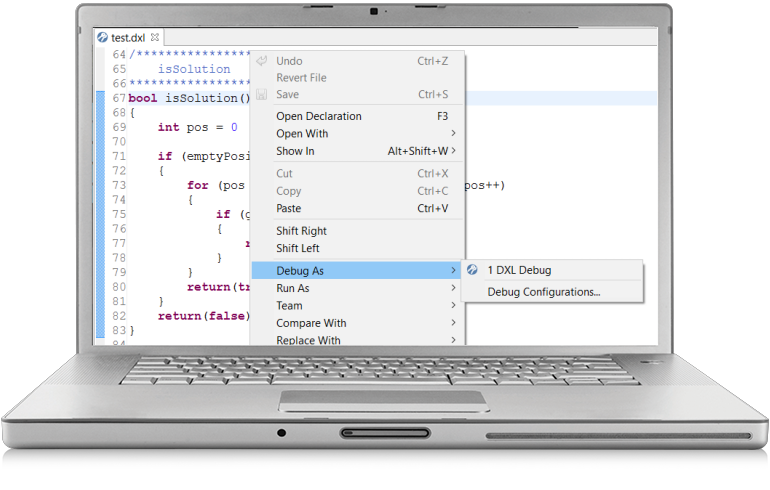 Edit, browse, compile, execute, and debug your scripts with DXL Editor. A node-locked license key is for use on one Windows based computer and is tied to that computer. Hostname required for purchase. To get the hostname necessary to generate a license key, open a command prompt and type "hostname". +20% maintenance fee added at checkout. Total of $2,940 due at checkout. 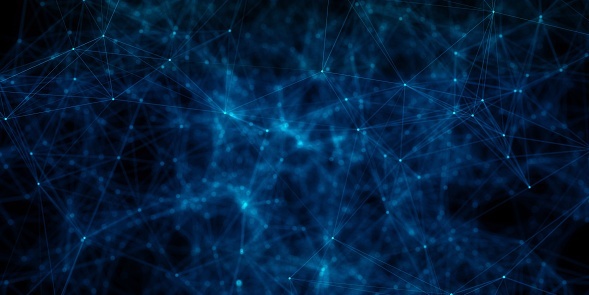 A Floating license (also known as a Server or Network license) allows users on a network to check out individual licenses from a commonly shared set. Hostname and MAC Address required for purchase. To get the hostname of your license server necessary to generate a license key, open a command prompt and type "hostname". +20% maintenance fee added at checkout. Total of $7,194 due at checkout. Highlights keywords, strings, comments, and function calls. Dynamically highlights the occurrences of the word currently selected in the editor. Provides a list of suggested completions for partially entered strings. Tooltips display the DXL function call’s signature and its associated comment, if any. The Outline View displays the structure of the DXL file, listing the functions declared within it, and automatically refreshing as you edit the file. Clicking a function in this view causes the editor to jump to the function’s declaration. The Project Explorer lets you organize a consistent set of DXL files into projects. 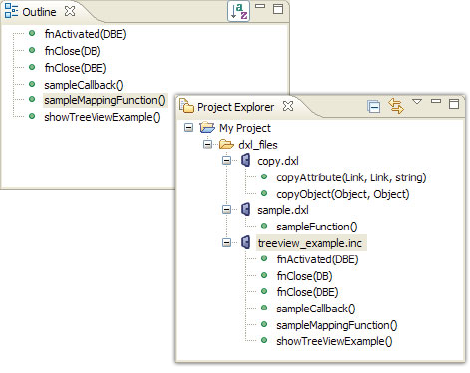 DXL Functions are displayed in the project’s view, without the need to open the corresponding DXL file in an editor, enabling you to quickly navigate into your project contents. Each time a DXL file is modified and saved, the DXL compiler is automatically executed on that file. For each error, an annotation is added in the editor sidebar, with a tooltip showing the error message, and the corresponding line is underlined. Navigation through DXL errors for a particular file, project, or entire workspace. A DXL file can be executed directly from Eclipse. A console is opened when a DXL file is executed. This console logs any DXL text output, and indicates any DXL windows that may be opened by the executed file. 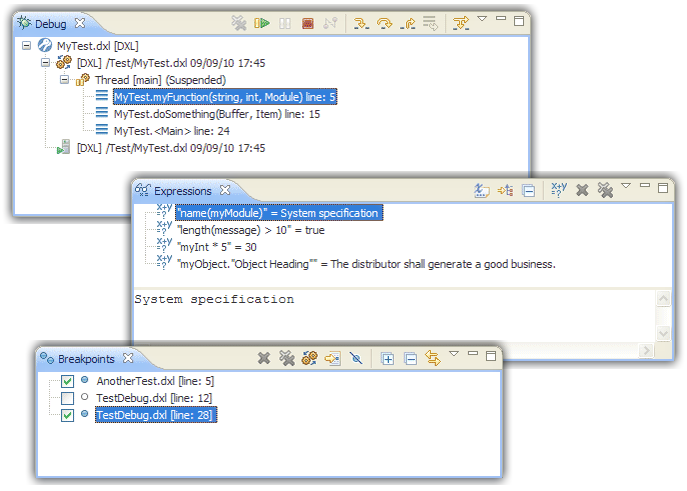 Execution errors are displayed in the console and hyperlinks are available on line numbers to jump to the corresponding location in the DXL editor. Display the stack frame for the suspended DXL execution you are debugging, with the list of function calls. See all the breakpoints you currently have set in your workspace. 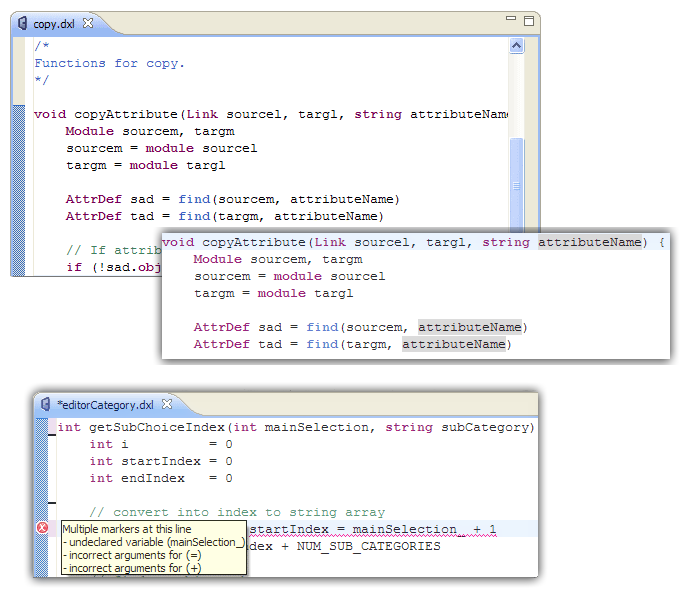 View information about the variables associated with the selected function in the Debug View. Dynamically execute queries to assist your debugging.